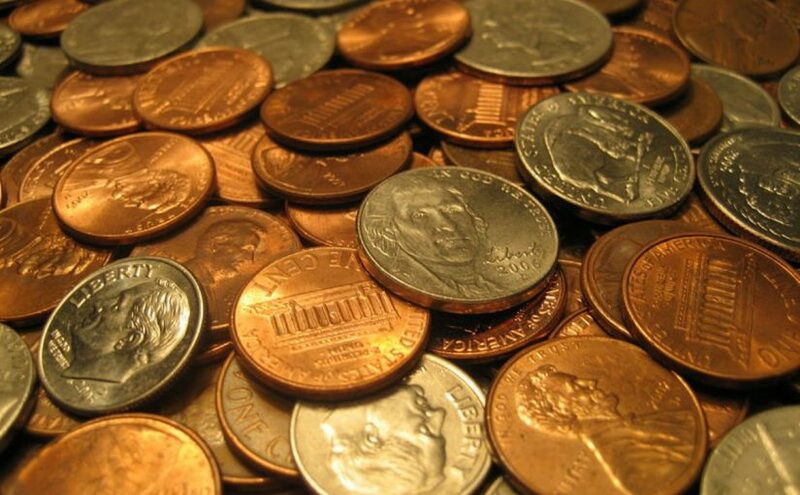 To see a coin in a dream refers to marriage or news that will be heard within your family. To find a coin in your dream forewarns you that some problems will emerge because of financial problems in your marriage. However, after a while your financial issue will be good because of your or your partner's successes in business life. To collect coins in your dream implies that you will heard a marriage of your friend or your relative as soon as possible. To dream that you take coins may represent that you will have a relationship with a person whom one of your close friends will introduce to you. Also you may lead to a marriage of your friend. To dream that you take coins from somebody signifies that you will go back to your family because you will hear news during your travelling. Besides, financial subjects will be spoken within your family. If you know the person whom you take coin from, there will be some disturbing news but after a while good news will be heard. To see that you give coin to somebody in your dream represents that some surprising events related to your marriage will happen and within this period, your marriage and relationship with your partner will be more qualified. To count coins in your dream denotes that your marriage life will be colourful and communication with your partner will be stronger. To lose coin in your dream may represent that new people will participate in your family and the successes of these new people will influence your financial condition positively. To see that you eat coin in your dream signifies that you will hear a marriage soon or you will get married. If the person who eats coin is your friend, s/he will help you about your marriage or you will help him/her for finding a solution to the problem about his/her marriage. To see a lot of coins in your dream implies that your marriage will last short but this condition will influence your life positively and your successes will increase. To see the coins in a container, jar or coin bank in your dream signifies that you will hear some news about your job or school. This news will make your family happy and your family will be proud of you. To see fake coin in your dream refers to uneasiness within your family. A person whom you know but you don't get on very well with will find a solution and will help you. To see coins made from different items in your dream signifies that you will meet a friend whom you haven't seen for a long time and you are in bad odour with. You will deal with your problems. To see old coin in your dream implies that you will be away from one of your friends but within this period you will have a lot of money and you will use this money for good purposes. To dream that you make coin collection indicates that you will take a good package or document from one of your friends. This package or document will fix your financial condition.